Lately your Mitsubishi Cordia, Diamante, Eclipse, Endeavor, Expo, Galant, Lancer, Mighty Max, Mirage, Montero, Outlander, Raider or Starion is giving you indicators that all is not good under the hood. You worry that it is going to be an expensive repair and money is tight. Consider purchasing used car parts from AutoPartSearch.com. 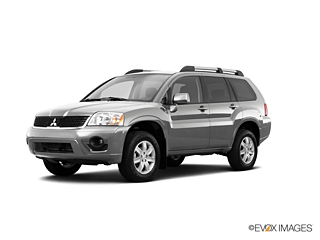 Our auto salvage yards carry tons of used parts for all makes and models of Mitsubishi. Used car parts are one of the best ways to save your money on replacing old worn out parts and can make that repair less damaging to your wallet. You can also choose to maintain your Mitsubishi with parts from our junkyards, the parts we offer have not completed their lifecycle and have years of service left to provide. Many older model cars have no alternative in purchasing OEM or Aftermarket parts so top quality used auto parts are a necessity. Our site is perfect for finding your desired parts conveniently and quickly, so why wait, check out our selection today. Mitsubishi Aftermarket Auto Parts you can count on! Our site provides access to high quality affordable aftermarket parts. This is a great option for the person making non-factory specific changes to body style or engine performance. It is crucial that you look for top-quality rated parts and pay attention to details such as fit and manufacturer. Our customer support team is really helpful in answering any questions you may have about your aftermarket part choices.